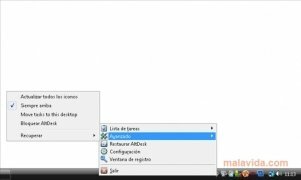 AltDesk is a tool with which you will be able to manage various desktops at the same time, being able to distribute the tools that you use into categories and this way work in a more orderly and direct manner than if you worked with all the programs open at once on a single desktop. 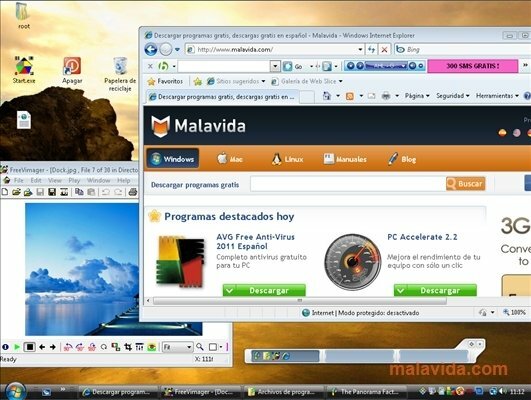 The program is accessible from its interface (from which you will be able to access any of the three virtual desktops) or from an icon in the system tray, with which you will be able to access any of the program's options with a single click of the mouse. 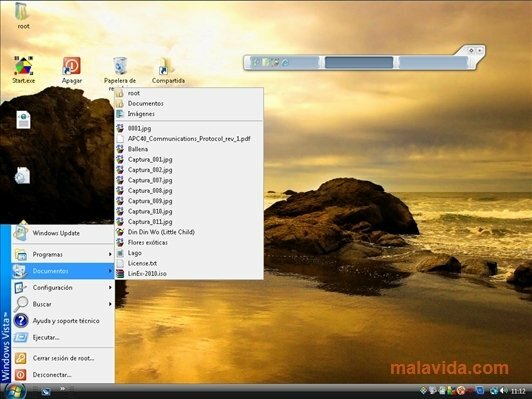 This tool allows to configure keyboard shortcuts or mouse gestures to be able to exchange desktops, select a different wallpaper for each of the work spaces and to use skins to change the graphical aspect of the program, among many other things. One of the most important features of this development it that it practically doesn't use any system resources, unlike many similar applications. 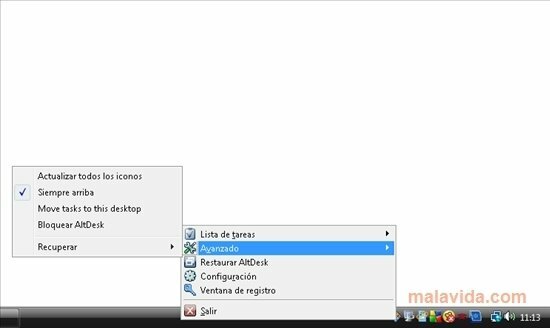 If you are looking for a simple and very direct way to be able to organize your tools on your work space, download and install AltDesk on your computer. The trial version will deactivate after a some time and doesn't allow to update the program.